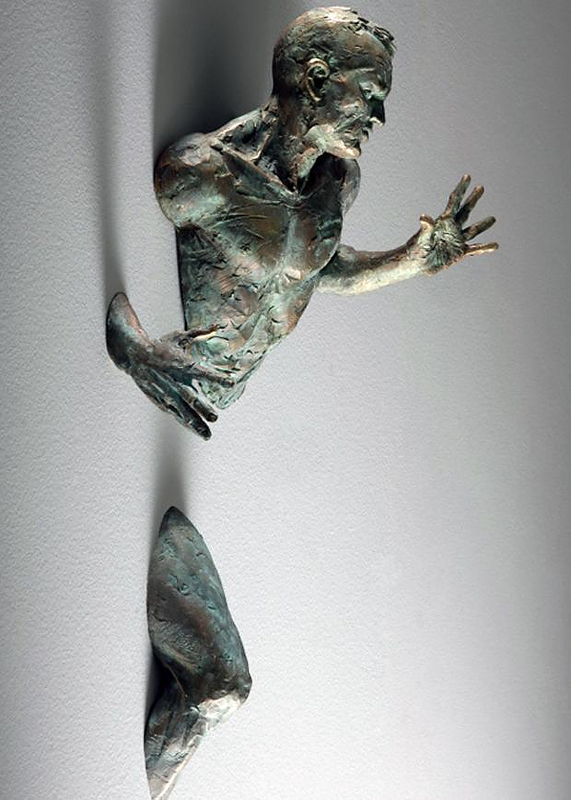 HomeBlogArtFigurative Sculptures Embedded In Gallery Walls by Matteo Pugliese. 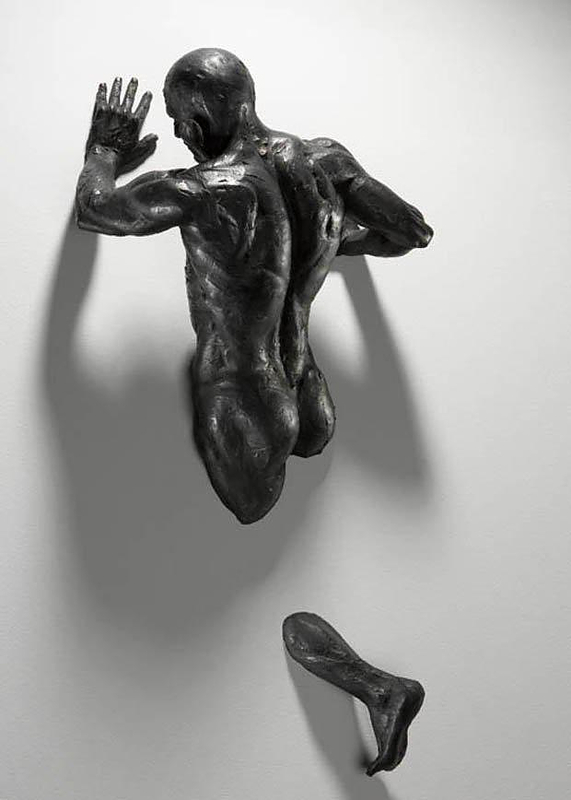 Milan based Italian Sculptor Matteo Pugliese creates breathtaking sculptures of men that appear as if they are trying to escape from the gallery walls. 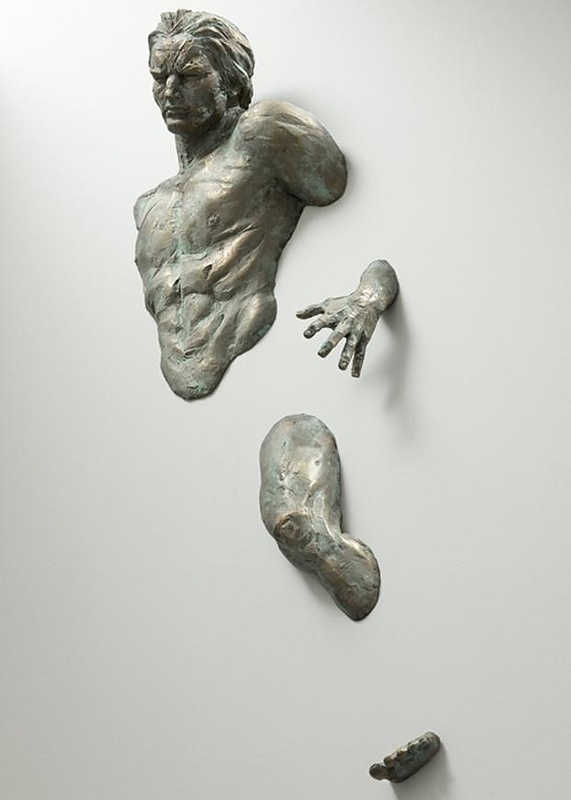 His unique bronze figurative sculptures are made from multiple parts and display men that appear to be trapped in the vertical space of gallery walls. 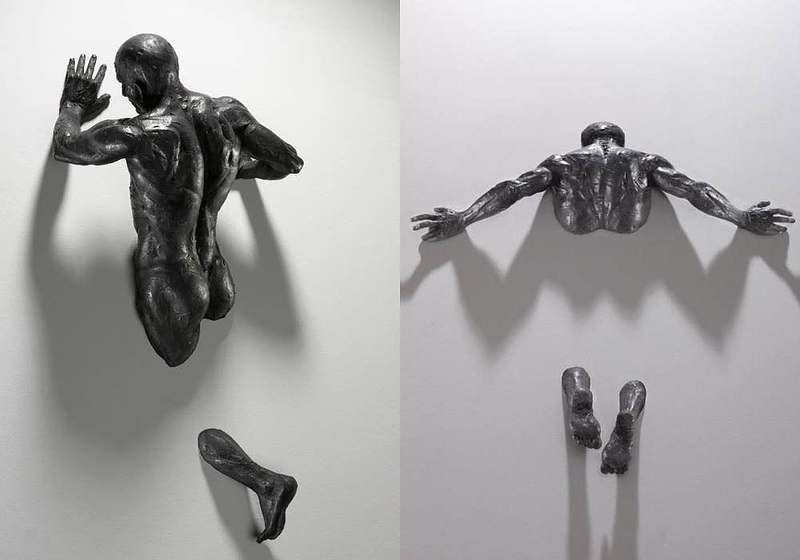 The figures really do appear as if they’re in perpetual motion, in action, escaping from something, trying to set themselves free from some kind of entrapment or restriction. 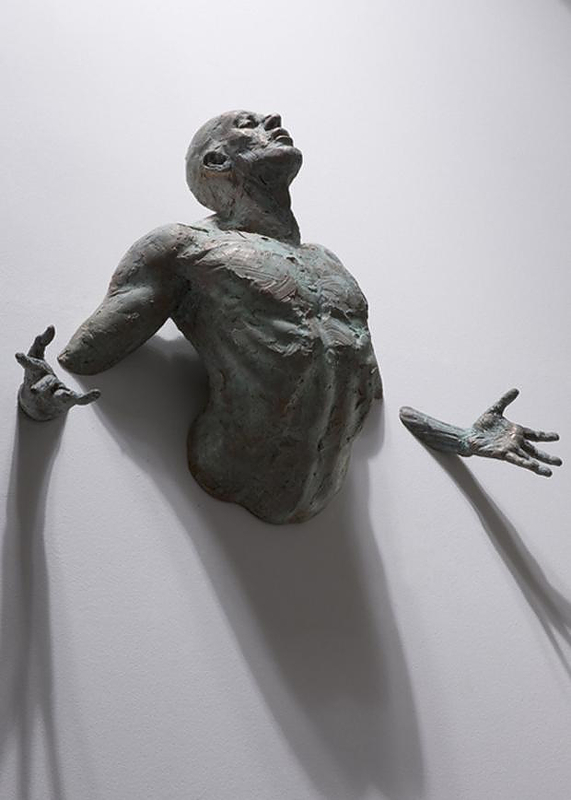 Matteo Pugliese’s metal sculptures are impressive and aesthetically pleasing, yet they convey a sense of dynamism and will to escape some invisible barrier. 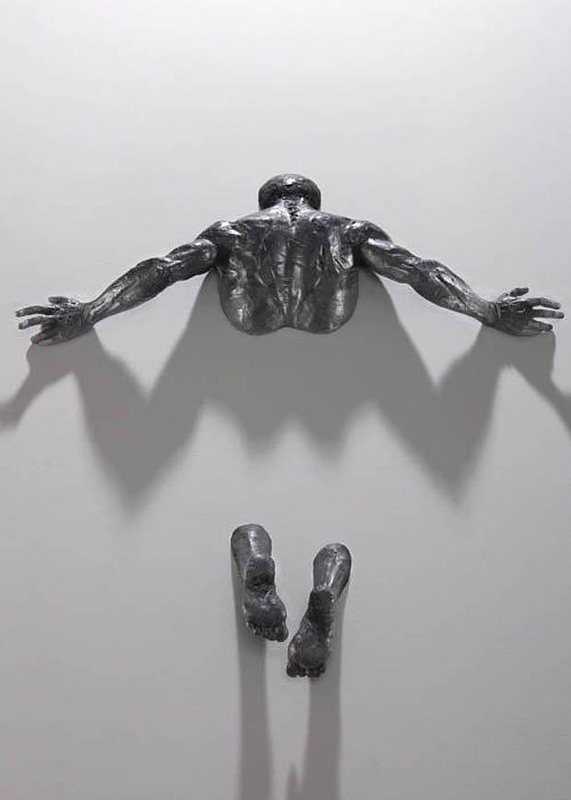 I’m interested with this 3d male sculpture (image 6 of 7)… where and how can i buy this? How much will this cost? Do you deliver in UK? Dear Kriz, thank you for your comment. Sadly we cant help you on this one as this article is old (dated 02-2013) and these are limited edition pieces, most likely sold out. 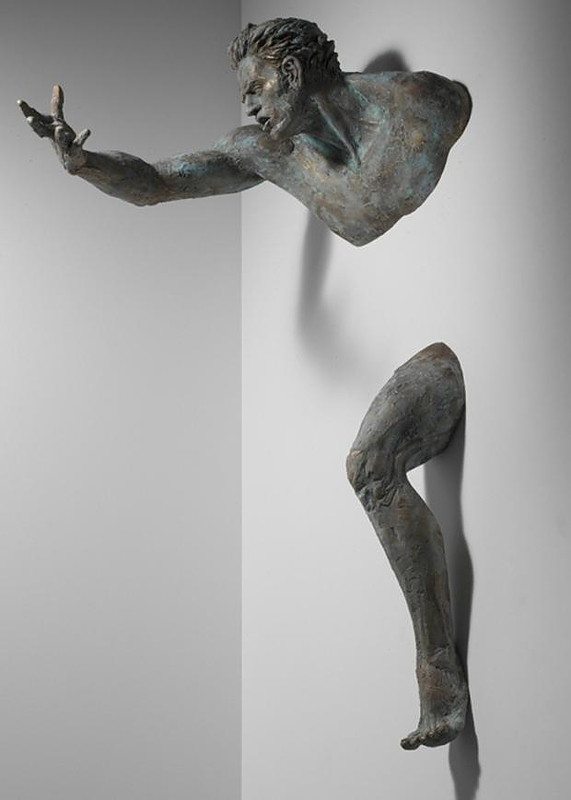 Your best bet would be to contact the artist directly and see if he can create something for you.